After 75 years of manufacturing Timber Ladders, PELCO has now developed Fibreglass Ladders to add to our range of non-conductive Ladders for the Electricity and Telcom Industries. Just as we believe our Lamilite™ Ladders are the best Timber Extension Ladders you can buy, we also believe our new Fibreglass Ladders are the best Fibreglass Ladders for Electricity Linesmen – safe, durable and user friendly. 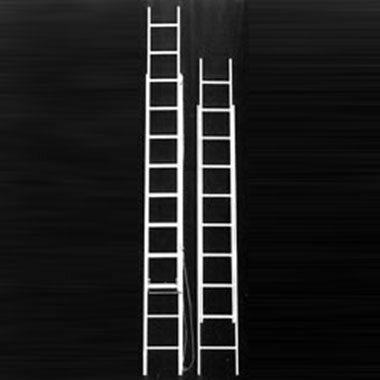 STRENGTH – Pelco Fibreglass Ladders have strong box-section stiles. These stiles have thicker corners than competing stiles which prevents splitting along the corners and concentrates strength where it is needed. RIGIDITY – Box-section Ladder stiles are torsionally rigid, whereas channel section stiles are floppy. This translates into a more rigid Ladder which feels safer to work on. Box-section stiles also allow deep rung joints which are naturally rigid and free of twist. DURABILITY – Pelco’s Fibreglass Ladder stiles are made from Vinylester resin coloured white. Vinylester is a better all round resin for ladder stiles – greater, stronger, more heat resistance, less water absorbtion and a more reliable glue bond. The white titanium dioxide pigment is an excellent UV blocker. USER FRIENDLY – Pelco has developed a new guide to replace the external guides which were vulnerable to damage and a danger to the user’s hands. Pelco’s spring loaded clutch arrests the free-fall of the top section at all aspects of Ladder operation. Plastic guides, braided polyester rope and a proven pole becket complete our design. SAFE – The essential elements of any Ladder – Strength, Stability, Durability, Weight and Cost are all interrelated. Any Ladder which is lighter and/or cheaper is almost certainly less strong and less durable. The designers at PELCO believe they have achieved the best possible balance of all these factors, with the emphasis on Safety. PELCO fit safety-grip “D” section rungs plus two wider “T” section rungs at the top of the ladder where linesmen need to stand for long periods. PELCO Fibreglass Ladder stiles have been carefully designed in conjuction with experts in the field of fibreglass pultrusion. Our fibreglass stiles have the mass of glass concentrated into the four corners of the section in order to resist both splitting along the corners and edge impacts. 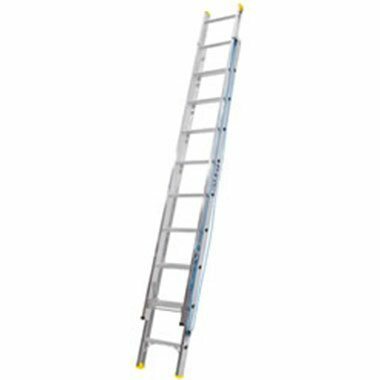 PELCO Extension Ladders feature a spring loaded, glass reinforced, nylon clutch. Only a spring loaded clutch will reliably catch the top section at all angles of Ladder operation. Gravity operated clutches often fail when the Ladder is close to vertical, or is being used incorrectly. Our plastic clutch is slightly resilient in order to protect the aluminium rungs from constant dropping of the top section. PELCO aluminium rungs are accurately located in both faces of our box-section stiles and rigidly glued in place to provide a permanent joint. Compare our joint with others and you will find none superior for rigidity and longevity. 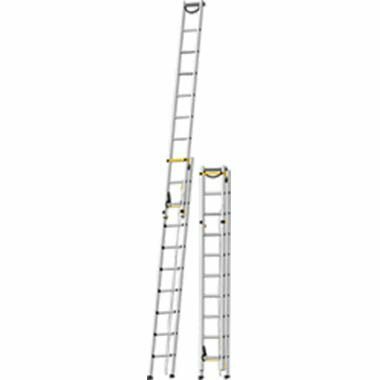 PELCO Linesman Ladders feature a Pole Becket fitted at the top which consists of three layers of nylon webbing protected by a plastic sleeve. This design conforms to the shape of the pole to provide a secure grip. Our glass reinforced nylon bridge protects the top joints in the situation where a ladder falls off a pole. An eye bolt is provided for attachment of a Head Rope / Top Lash. PELCO fits braided polyester rope to its Extension Ladders as it is the best rope for resistance to UV radiation. 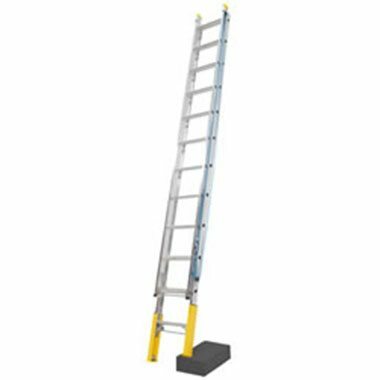 PELCO Ladders exceed all the requirements of:- Australia and New Zealand Standard AS/NZS 1892.